The tap dancing - by all players - of the last few years over Iran's nuclear program is about to come to a head. There is a convergence of events coming regarding Iran's nuclear aspirations that goes far beyond the Persian Gulf. The players in this drama are not just Iran and Israel, not just the regional powers Saudi Arabia, Egypt, Turkey, but encompassing Western Europe, Eastern Europe and Russia, as well as the United States. For several years now, the West has attempted to convince Iran to clarify its intentions about it nuclear programs. While Iran is completely within its rights to conduct nuclear research, even to the point of the development of a nuclear power generation capability, the scope of the multiple Iranian uranium enrichment programs appears to far exceed that required for energy. For example, Iranian President Mahmoud Ahmadinejad claims that the goal of the nuclear program is solely to develop electrical power plants. Actually, Iran burns more energy as waste natural gas from its oil wells than it could ever produce even if all its nuclear facilities were used to produce electricity. The program is obviously too large, too dispersed, too hardened and too well defended to be merely for nuclear power generation. A U.S. National Intelligence Estimate (authored primarily by two State Department intelligence analysts with an obvious agenda) in late 2007 assessed that Iran had halted its nuclear weapons program a few years earlier. Neither the administration at the time nor the two major candidates for President - Senators Obama and McCain - bought it. Now President Obama unequivocally states that Iran is conducting a nuclear weapons research and development program. The United Nations' normally ineffective nuclear watchdog, the International Atomic Energy Agency agrees, releasing an assessment that Iran already has the capability to produce a nuclear device, though not yet in a missile warhead. The President also stated that it is "unacceptable" that Iran develop and possess such weapons, and that he will use all elements of American power to prevent that from happening. 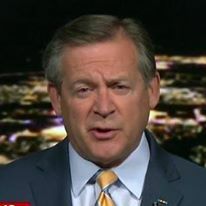 There has been speculation that a series of meetings and events are aimed at preventing Iran from acquiring these weapons. If true, good for Mr. Obama - if not, it just highlights the administration's previous naivete - it has been consistently outfoxed by the regime in Tehran since taking office earlier this year. First, we have the aborted delivery of S-300 (SA-10, SA-12 or SA-23, depending on version) air defense missile systems to Iran on the allegedly hijacked merchant ship Arctic Sea, despite Russian official claims to the contrary. Israeli leaders, including Prime Minister Binyamin Netanyahu, have made several trips to Moscow before and after the "recovery" of the vessel. Then Russian President Dmitry Medvedev issues a statement that he has been assured by Netanyahu that Israel is not planning a military strike on Iranian nuclear facilities. This, of course, has been denied by the Israelis, who maintain that a military strike is still an option. There's more. Last week, Obama and his secretary of defense announced that they were cancelling the installation of a ballistic missile defense system in Eastern Europe based on a new National Intelligence Estimate that Iranian missiles now pose less of a threat than previously believed. This is from the same group that last year assessed there was no active Iranian nuclear weapons program. Why do we assume they have it right now? Is is reliable enough to literally let down our defenses? Now the Obama Administration is going to participate in talks with the Iranians, albeit in partnership with the five permanent members of the United Nations Security Council and Germany (P5+1). This represents a major change in the American position that Iran must first halt its uranium enrichment activities before any talks with the United States. Again, outfoxed by Tehran? 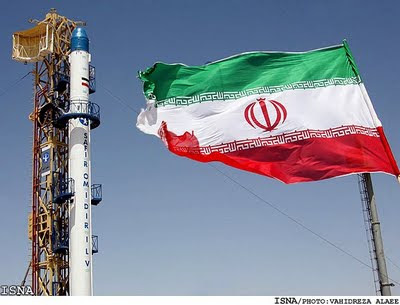 I hope that in return for reversing plans to deploy ballistic missile defenses in Poland and the Czech Republic, Russia has agreed to exert its influence over Iran to enter into serious dialogue with the P5+1. Up until now, Iran's strategy has been to delay by talking about dialogue while still enriching uranium. The upcoming talks with Iran may be the last chance for a peaceful resolution to the crisis - and it is a crisis. If Iran does no agree to halt its uranium enrichment and the group does not impose tough sanctions that force a change in Ian's behavior, the Israelis will likely turn to the military option. Maybe just coincidence, but several U.S. Navy ships with the latest American anti-ballistic missile systems are en route Israel. There will have to be a resolution to this soon. The events of the next few weeks will be interesting.